Yes! I finally started making the effort to find and use affordable cruelty-free makeup. Now, before we get too far into this, does this mean I will never, ever again buy products that are not cruelty-free? No. At least not right now. I may someday get to that point. But for now, I'm taking my dip into being a more conscious beauty consumer slowly. Because, to be honest, it's a little overwhelming at first! At least it was for me. I don't really know anyone personally who shops ONLY cruelty-free products. So I had to do a ton of research to figure out what brands were cruelty-free and which weren't. So what exactly AM I doing if I'm not completely cutting out all non-cruelty-free brands? I'm making more of an effort. I'm making more of an effort to seek out cruelty-free products, educate myself on brand animal testing policies, and to choose to purchase comparable cruelty-free products over their non-cruelty-free counterparts. So one of the most frequent questions I've received since starting this is "Why now?" 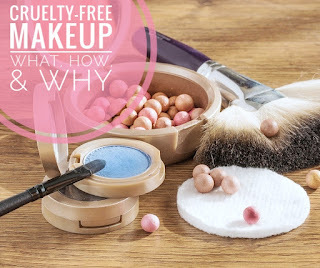 Basically, what pushed me to finally make the cruelty-free effort? And, as silly as it may sound, it was a Facebook video. You may have seen it. It wasn't anything particularly gruesome or graphic (because I don't watch those) but it showed Beagles who had been rescued from animal testing...being taught to walk. Full grown dogs looking very scared and not knowing how to walk out of their carriers. For some reason, it hit home. I guess I never realized companies test on dogs. I knew they tested on animals of the rodent family (not that that is ok either), but for some reason seeing dogs being victims of animal testing...It just hit home. And if I'm really honest, I've always had the two thoughts on animal testing for cosmetics. 1. It's just dumb and lazy. Testing on animals to get the perfect lipstick formula? Let's get over ourselves. Plus science and technology have given us so many new and more effective ways to test product safety. Stop simply doing it the way "it's always been done" because you are either too cheap or too lazy to train and/or hire employees who are educated in these cruelty-free testing techniques. And 2. What in the world are you putting in your products that make them so unsafe to put on a person without first testing on an animal? Do I want those ingredients on my skin at all?! And finally HOW I found cruelty-free brands. The two main sources I used were Cruelty-Free Kitty and an app called Cruelty Cutter. Cruelty-Free Kitty is pretty good about keeping their information up-to-date. They also delve in a little deeper to HOW brands are or are not cruelty-free. For example, many brands do not test on animals during the production of their products. But, because they sell in China (where animal testing is required by law), their finished products are tested on animals before being sold in China. My message to those brands is please pull out of China! Obviously, many brands know animal testing is, at the very least, bad PR. And that China is a HUGE market. But there are many brands that refuse to sell in China and do well. And if enough large brands refuse to sell in China because of their outdated animal testing law, then it may send a message to the country that it's time to get with the times and use the many other ways we now have to test product safety. While Cruelty-Free Kitty was great for doing research while at home, Cruelty Cutter was my go-to while I was shopping in-store and needed to quickly know right then and there if a product was cruelty-free or not. With this app, you are able to scan product barcodes to find out their animal testing status. It has taken months of testing, searching, and purchasing products for me to come up with this list. I'm sure that, with time, it will only grow. I was happy to find brands that I already used like Milani and Physician's Formula were cruelty-free. And that affordable brands like Wet 'N' Wild, ELF, and NYX are also on that list. My thought was "Whew! So maybe this won't be as difficult as I originally thought." For some reason, I always had this thought in my head that cruelty-free brands were less accessible and more expensive. I'm not sure why and I'm not sure if I was alone in that thinking! But, it turns out, there are several affordable, easy-to-find, cruelty-free drugstore brands. I've listed some of my favorite cruelty-free makeup finds below. Take a look and try them out for yourself! So far I've found two primers that I like. 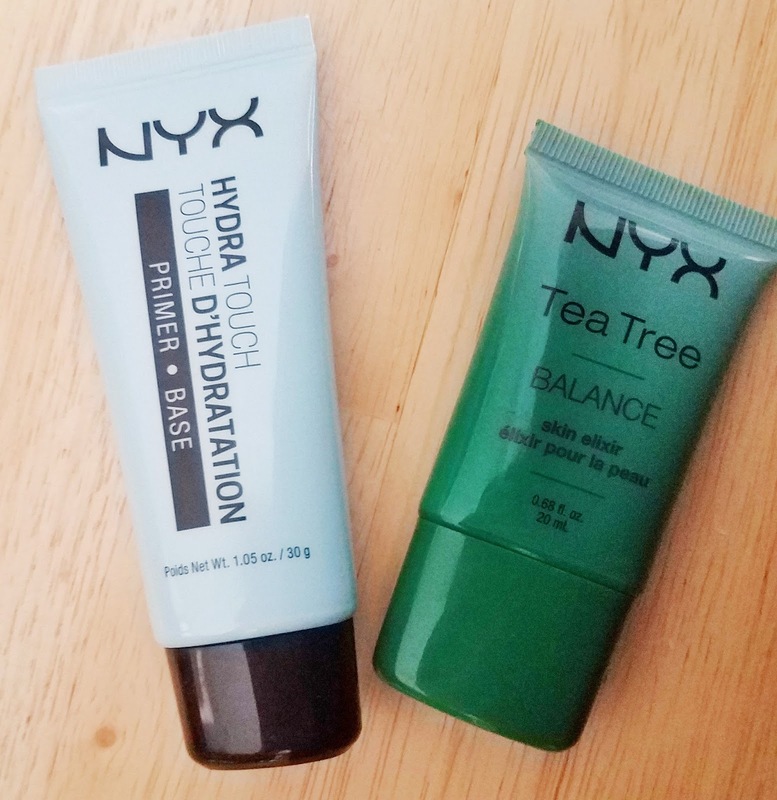 The NYX Hydra Touch Primer gives my skin a very dewy look (and may be more of a "winter primer" for my combination/oily skin) but is one I would recommend for drier skin. It feels light going on and never had a heavy, "I'm clogging my pores," feeling. My makeup sat on top of it nicely as well. The NYX Tea Tree Balance Skin Elixir was better suited for my skin in this summertime humidity. Again, it felt light and smoothed out my makeup look. I'm not going to lie. I was surprised at how amazing many of Wet 'N' Wild's products are. Like many other more affordable drugstore brands, I tried Wet 'N' Wild in high school, wasn't super into really any of their products except the eyeshadow, and never really looked back. I've tried Wet 'N' Wild a few times in between and liked some of their products. But I never really expected for it to become one of my go-to brands. After trying the products listed in this post, it is. The Wet 'N' Wild MegaGlo line is awesome. 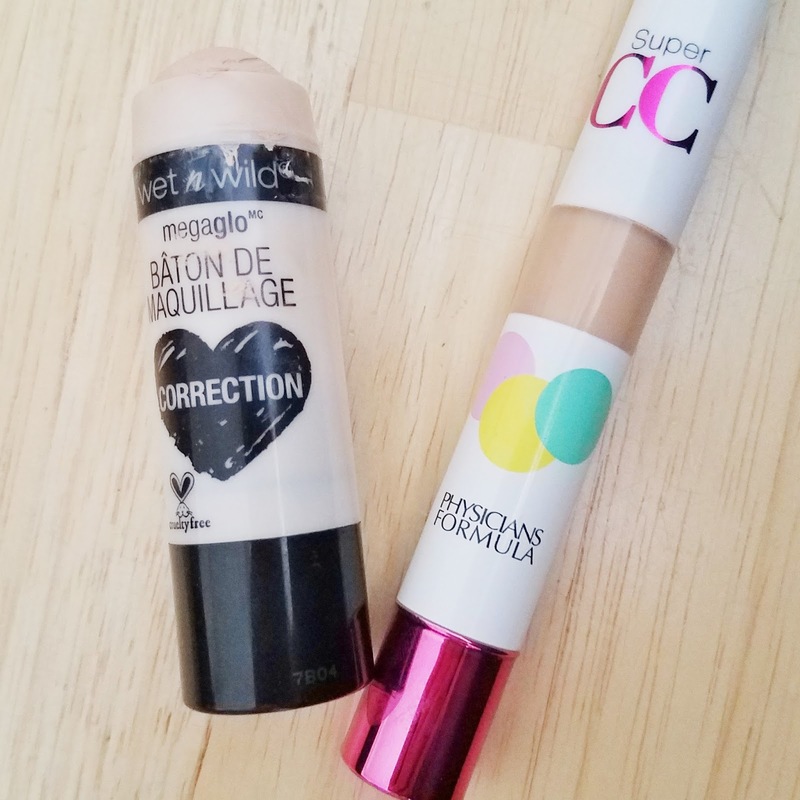 And the MegaGlo Correction Concealer is now my everyday concealer. 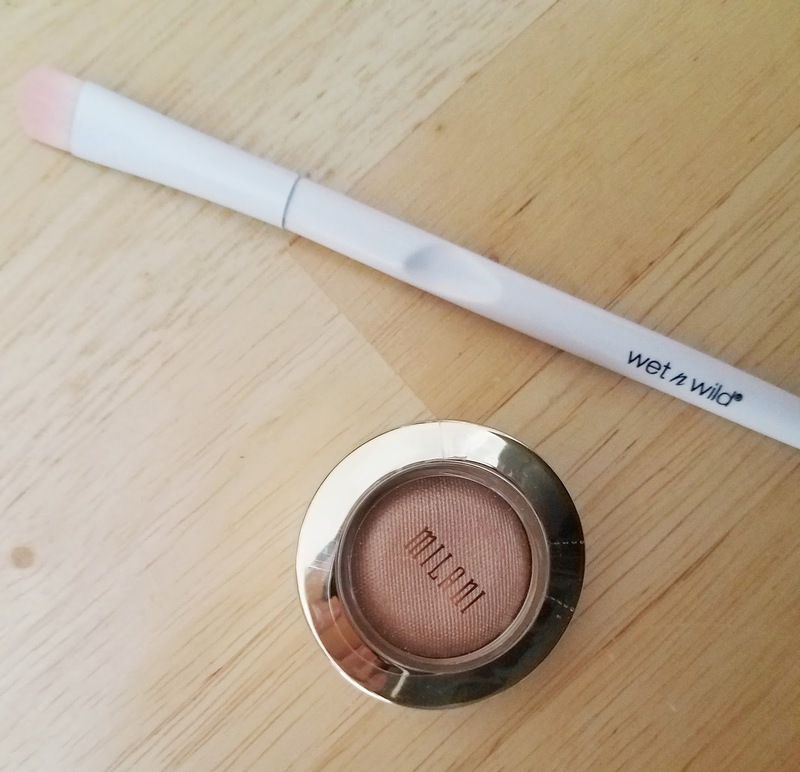 It's smooth with a pretty good amount of coverage, blends out easily, and doesn't crack, break apart throughout the day, or settle in my pores/fine lines. Physicians Formula's Super CC Color-Correction + Care CC Concealer SPF 30 has been a go-to of mine for awhile. It's light, blends out really well, and looks great even without foundation. The only problem is this concealer can be hard to find and isn't really carried in stores near me anymore. Wet 'N' Wild is dominating the space on my cheeks right now! 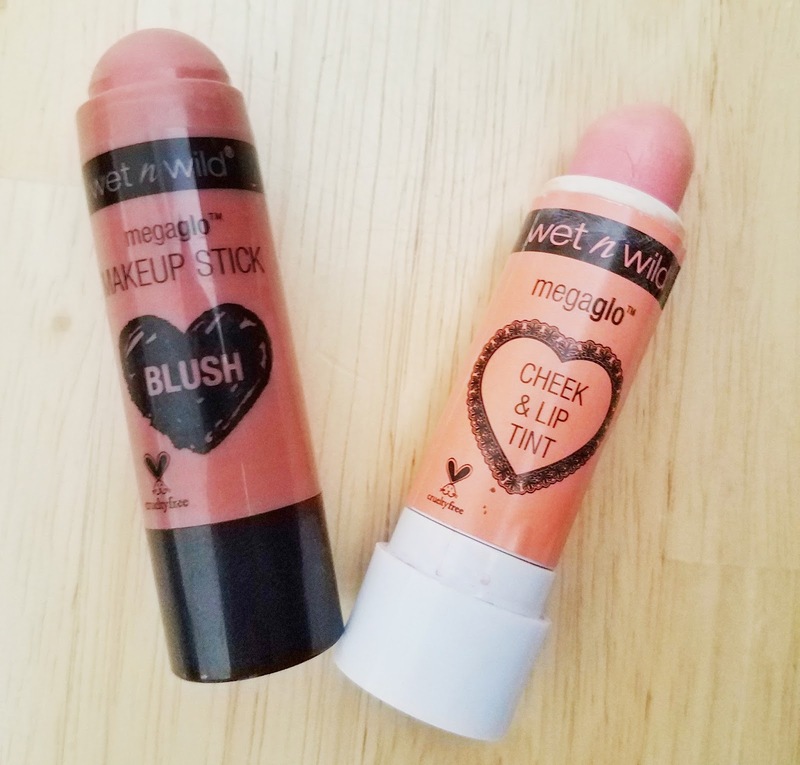 I love both the MegaGlo Blush stick and the MegaGlo Cheek & Lip Tint, although I do not recommend using them on your lips. But on the cheeks - yes! They go on smooth and blend into the skin for a natural flush. They also aren't oily or greasy. And they do not make me break out. Let's talk about ELF for a minute. 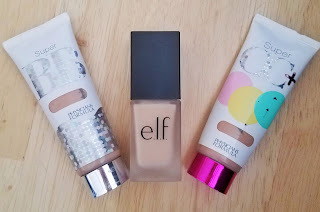 ELF is one of those brands that's extremely hit or miss for me. Either I love their product or I hate it - there is very little in-between. But, because they are so inexpensive, I am willing to take a chance on them. Afterall, their Oil Free Flawless Finish Foundation is my new go-to and it's only $6. I love the packaging (it has a pump!) and the finish really is pretty close to flawless. It also doesn't break me out in the slightest. The Physician's Formula Super BB All-in-1 Beauty Balm Cream SPF 30 and Super CC+ Color-Correction + Care Cream SPF 30 are two products I had in my collection that I loved even before looking into cruelty-free options. I usually prefer the CC cream over the BB cream. It doesn't feel heavier but has better coverage. Both are must-haves for those who don't want to wear a full foundation but also don't want to go completely bare. You all know Perfectly Posh was going to show up somewhere on this list. And it is with their MelonDrama Caffeinated Lip Balm. I love their lip balms. They are moisturizing, light, and taste yummy. 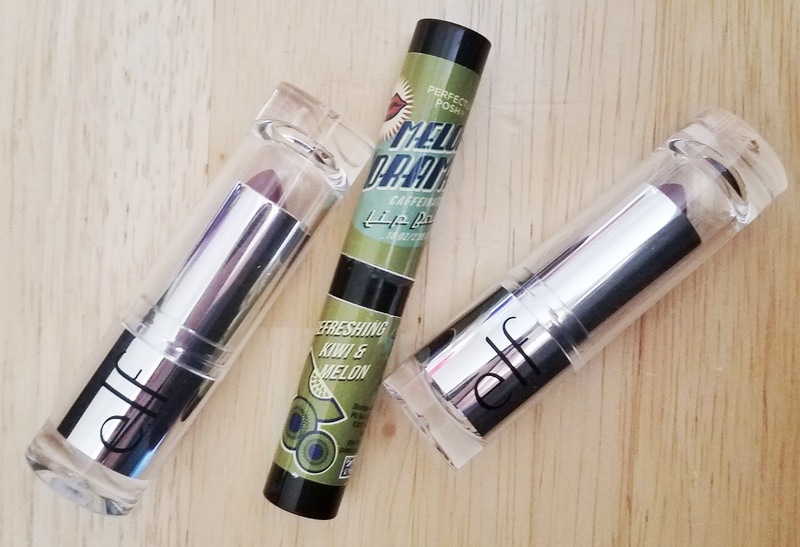 I'm having a little bit of a hard time finding cruelty-free tinted lip balms that I love. ELF's Beautifully Bare Satin Lipstick is the closest I've come to finding one. Now, these aren't tinted lip balms. They are much more pigmented and much more like a moisturizing lipstick. But I still like them for a night out or special event. They are a little too much for me for my everyday look. Whew! Finding a cruelty-free mascara that I actually loved...was hard! So many of them either do a whole-lotta-nothing or flake and smudge like crazy. WHY. But I did find two from, yes, Wet 'N' Wild that I absolutely love. 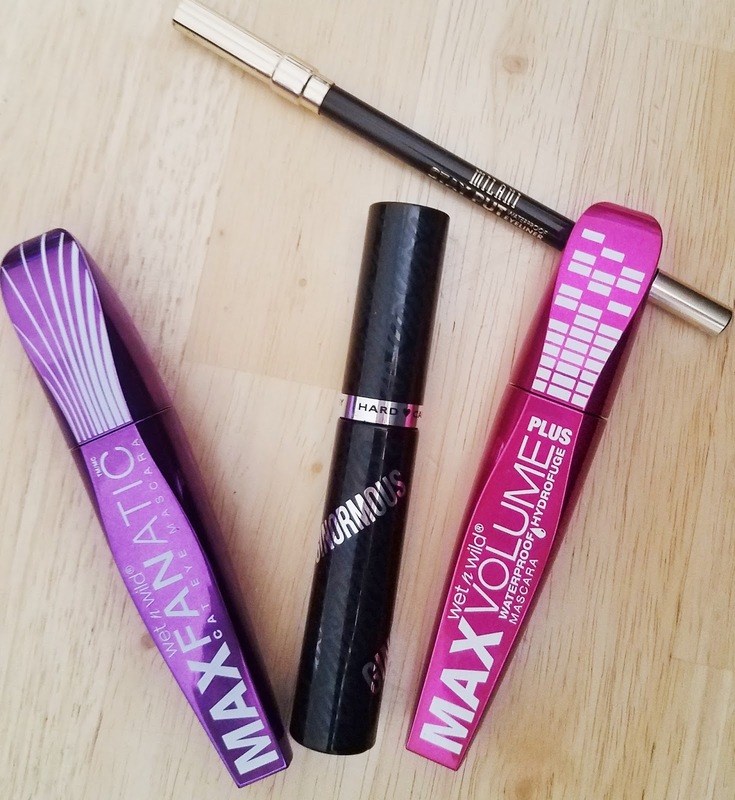 Now while I wouldn't recommend Wet 'N' Wild's more affordable, solid colored mascaras (the ones that are like $2-$3), I absolutely recommend the Max Volume Plus Waterproof Mascara and the Max Fanatic Mascara. Both give pretty dramatic results, have a drier formula ( = less mess), and mascara wands the minimize clumping. Hard Candy Ginormous Lash Volumizing Mascara. Hard Candy is a brand I literally have not tried since the 90's (when they had the oh-so-trendy powder blue nail polish that came with a cute plastic ring! Ah, the 90's.) Not because I never wanted to. But, in all honesty, because I didn't know they were still around. The only place that carries Hard Candy makeup by me is Walmart. And the section is so small it maybe has 10 products. But this mascara has an easy to apply, mess-free formula, great wand, and doesn't flake all over my face. Now, I've said for years that Milani's Eyeliners are pretty close to MAC's Khol liners (smooth, no hassle application without melting all over my face). But I recently found out that Milani is cruelty-free. So, I picked up the Stay Put Waterproof Eyeliner Pencil and have been using it since. When I decided to try to find cruelty-free makeup items to use regularly, I really didn't change my go-to eyeshadow. Because my go-to eyeshadow is Kat Von D's Metal palette, which is cruelty-free. So as far as eyeshadow goes, that is the palette I use the most. BUT I did want to give you a cruelty-free drugstore option that I know is a good one. And that is Milani's Bella Eyes® Gel Powder Eyeshadow. They're not chalky, have great pigment, and stay put. Also pictured is a Wet 'N' Wild Eyeshadow Brush. 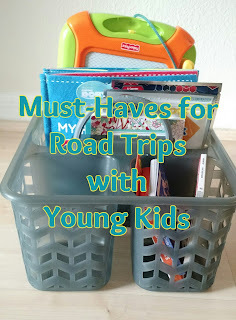 You can sometimes find these at the Dollar Tree (yes, for $1) and they are soooo worth the price. Are they the BEST brushes I've owned? No. But they're also not of poor quality either. So in my testing, I came across some products that just did not work for me. They may work for others and there are even a few on this list that beauty gurus swear by. But I was just not into these. I wanted to like this so bad. I actually did like how this looked on my skin. But it felt heavy and left me with a breakout. Messy formula. No payoff. Didn't look like I had any mascara on. Again, messy formula. No volume. Doesn't break me out but settles into my pores (an issue I usually don't have). It may be better when used with a primer. I am holding on to it to try again since so many love this foundation but I prefer the ELF Flawless Finish much more to this foundation. Do you have any cruelty-free makeup brands/products you recommend? You have shared nice tips. The ideal of what beauty really is changes in our society from time to time. Everyone has their own opinion of what is beautiful. By using right products like lifecell all-in-one anti aging cream you can conquer the world as well. Without make-up I can't imagine my day but Its not possible to keep the make-up on every time. Sometimes, we have to move out without make-up and that time,only a good skin care cream could work well. The "dermology anti aging serum is best for that moment to keep skin fresh and healthy all day long. Skincare matters. No matter what age you are, you can benefit from developing a skincare regimen for your skin. Research in to skincare helping us to fight against the signs of ageing by using Vitamin C based products like lifecell anti aging cream and to keep a glowing skin. Behind every beauty product lies years of scientific research and challenges. Our face skin is the most sensitive part in our body, everyone faces the problem of acne, anti-aging, pore opening etc. But for these problems I love to use natural ways for skin care, but it takes time and more efforts to create face packs. We all should use natural ways, but if you don't want to do a lot of effort then try lifecell all in one cream. It is very effective and the ingredients use in the making are totally natural.